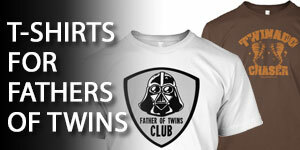 Regardless of the date on the calendar, you can make today, tomorrow, and the next year amazing as a father of twins. 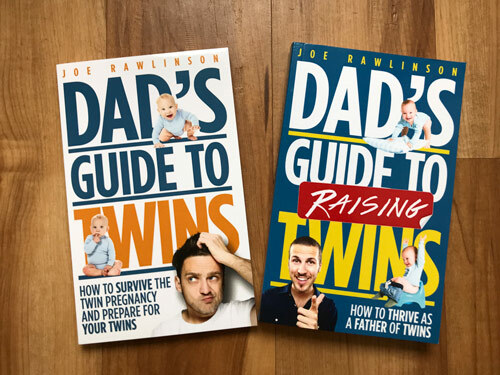 You can make some slight course corrections to improve your parenting regardless of the stage of parenting that you’re in; if you’re still expecting your twins, or if you already have them with you, or if you’re up in the middle of the night taking care of them right now. The first thing that you need to do is set your intention of where you want to go. Of course you wouldn’t go on a road trip or on a family vacation if you didn’t know where you were going to go. That might just get you lost or have you drive around in circles. The same thing is true as you ponder what you want to do with your relationships and with your family in the coming year. 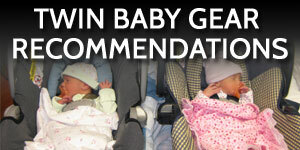 What do you want to see in your relationship with your twins? How about with your wife? How about with your family? First write down the goals that you have for the coming year, where you want to go, what you want to improve. This is going to require that you set aside time and a place to think about what you want out of the coming year. Perhaps you got so busy with the holidays that you didn’t get a chance to think about your direction for the coming year. That’s totally normal. So set aside a little bit of time now to think about the coming year; that could be at night after the kids are in bed, it could be lunch time when you take a break from work, it could be on your commute to or from work. Think about what you want out of the coming year. The next thing you need to do is give yourself permission to dream about what is possible beyond the current struggles that you’re having. If you’re in the middle of the pregnancy, you could be worried about preparations for the twins arrival, or your wife’s health. If you’re in the middle of a sleep-deprived caring for infants and the trials of newborns, remember that’s not going to last forever. You need to be able to look a little beyond that to what your goals are going to be. 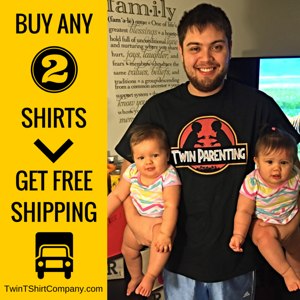 Your twins could be teething, and so just when you’re getting used to sleeping through the night, your twins are up again, and you’re having to take care of them because they can’t sleep so well. All these realities mean that you need to give yourself permission to think about what is beyond your current struggles and challenges. 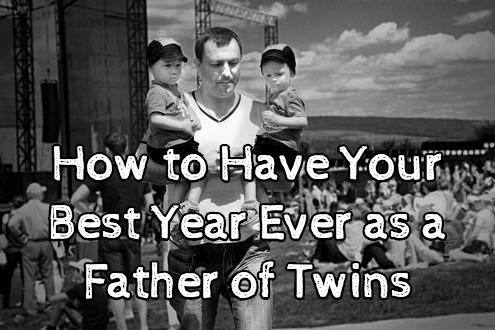 A year from now your twins are going to be a year older, and there’s going to be a lot of different things that you’re having to deal with. Next thing that I want you to do is to identify what’s at stake. Think about how the action that you take will impact your family and your life for the better. If you have certain bad habits, or schedules, or things that are not conducive to what you want your home life to be like, now’s a great time to change those. Identify an area of focus here that you need to improve upon, take that and turn it into a goal that you’re going to have for the next year, and it will be your best year ever as a father of twins. Don’t get overwhelmed with complex goal setting. Pick one thing to work on and do that until you see the results you want. Consistent daily action on one thing will form the good habits you’re seeking. Once that habit is in place, start working on the next goal. Then rinse and repeat. 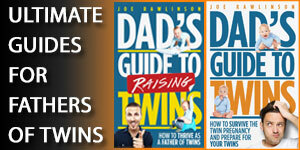 I’ve shared some ideas about this previously so be sure to check out episode 51 and episode 77 of the Dad’s Guide to Twins Podcast for more tips. Great advice! I liked the idea about coming up with quirky responses (from podcast 51), and the last tip here on considering the consequences. Personally, I wish I’d taken more photos of them as infants (also in your podcasts;) They grow so quickly! Pretty soon they’re no longer babies anymore and it feels like their infancy went by in a blur.